The three-day affair of the MLB Draft has officially concluded, with the Twins taking high-schooler Royce Lewis with the number one pick. Hundreds of now-professional baseball players have the chance to pursue their dreams and make it to the show. Did you watch it? Because I didn’t. 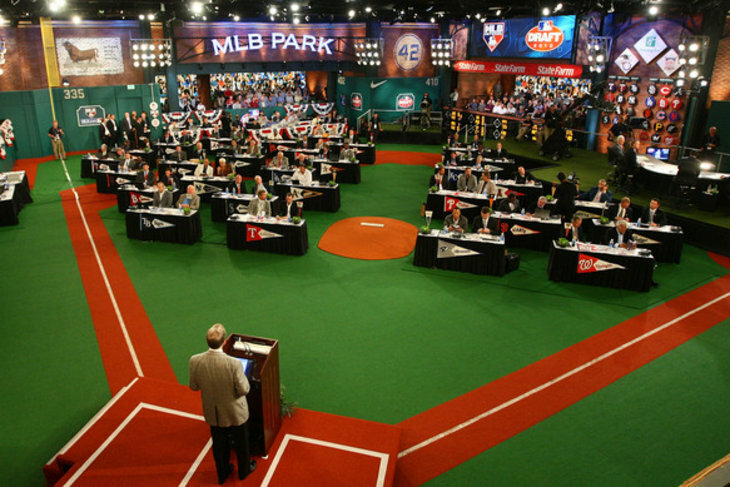 Compared to the media circuses that are the NFL and NBA drafts, the MLB draft feels positively quaint. There’s no need to rent out Radio City Music Hall. Heck, the thing could probably fit in your local VFW chapter house. Most of the time players and fans aren’t even in attendance, depriving the event of some much-needed energy. I’ll be the first to admit the NBA and NFL drafts have become too bloated. But there is a middle ground between the understated, unexciting MLB draft and the overhyped, nigh-unwatchable media love-fest that the other drafts have become. There are two potential fixes to the current state of the MLB draft to make it more interesting to the casual fan: allow for trades, or move the date of the event. I’d be all in favor of adding trades to the draft to spice it up. It would heighten the divide between teams trying to win now and teams trying to rebuild for the future. Could the Astros have dealt a couple of high draft picks in exchange for someone like Gerrit Cole? The Pirates would have gotten a head-start on the rebuild they’ll need to undergo soon, and the Astros would pick up a key piece for their run this year while bankrolling the future. The problem with that idea is the red tape behind it. Trades of draft picks would need to be collectively bargained between MLB and the MLBPA, and even though relations between the two have improved adding trades to the draft is not worth jeopardizing the current rosy state of affairs between the two sides. The second option–changing the date–is both more feasible and more productive. This year the MLB draft came on the heels of an exciting 6-game series in the Stanley Cup Finals and a highly-anticipated trilogy between the Golden State Warriors and the Cleveland Cavaliers. No draft could contend with those spectacles–even major league games took a ratings hit against the NBA and NHL postseasons. Intersport competition isn’t even the worst; baseball is competing with itself. Take the case of Alex Faedo, a reliever taken by the Detroit Tigers in the first round. He wasn’t at the draft; he didn’t even find out he was drafted until later that evening. Why? He was busy closing out a super-regional for the Florida Gators to help his team get to the College World Series. The College World Series can be a great draw for baseball fans. Postseason baseball in June? Count me in. And while watching the CWS and seeing future MLB players is exciting, so is watching those players and wondering whether our favorite teams might pick them up in the draft. The solution is simple: Replace the Slowest Day in Sports with the MLB Draft. “The Slowest Day in Sports” is a moniker for the Wednesday after the All-Star Game. It’s the only day in the American sports calendar where no professional games are played (outside the occasional MLS match). In a week where the eyes of the sporting world are turned to Major League Baseball already, why not piggy-back on that attention with the MLB draft? There’s something poetic about it as well. Baseball is a beautiful combination of past, present, and future, as teams cherish the past while trying to contend now and build farm systems that allow them to contend down the road. 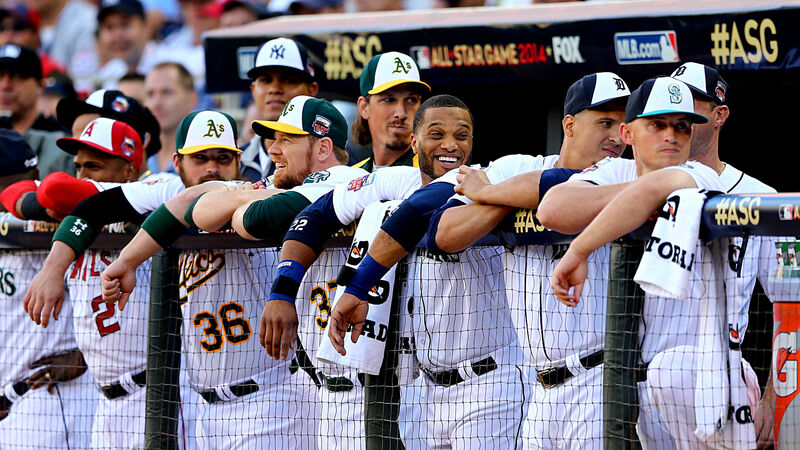 MLB can make that abstraction even more tangible by moving the draft to All-Star Week. “See the Stars of the Present, then Meet the Stars of the Future.” The tagline writes itself. There are admittedly some obstacles to overcome. Teams want to get their hands on prospects early so they can put them through development in short-season single-A ball. There is no reason why short-season ball couldn’t be moved back to start in the end of July. That would allow them to play into the middle of September before the focus turns back to the playoff races in the major leagues. Baseball has other issues to worry about beyond the draft, of course; this is not the number-one priority for Rob Manfred. But when facing thorny issues like the unwritten rules of baseball, the ever-growing concerns over pace of play, and the bogey of PED-use that just won’t go away, it makes sense to tackle a problem that has a simple and effective solution. Get rid of the Slowest Day in Sports, and replace it with the MLB Draft. Then maybe people will watch that instead of The Bachelorette.